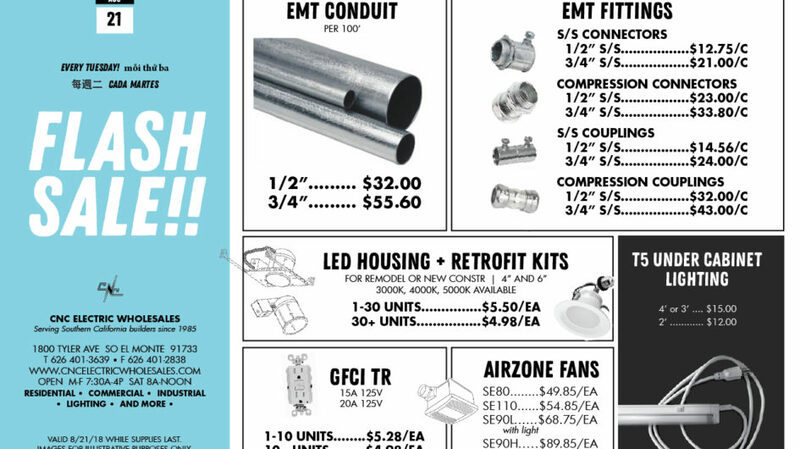 Check out specials on electrical construction equipment for 8/21/18. EMT conduit and fittings, various LED lights and GFCI receptacles. Ask about even lower pricing on bulk orders.